Hi friends! I am back from vacation, well rested, and ready for fall to arrive. Although I am excited for one last beach trip to the lake this weekend, when it comes to my wardrobe, I have all things fall on my mind. Autumn is my favorite time to shop, but what I love even more, is stocking up on layering items and cozy knits when they're on sale! And I'm in luck because there are some great Labor Day sales taking place this weekend, and most of them include fall merchandise! 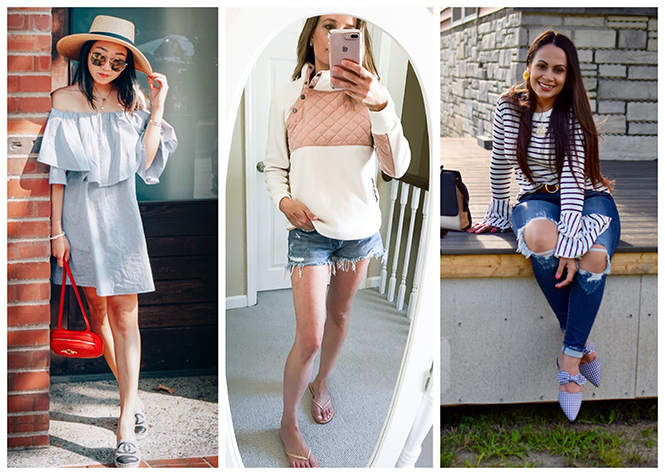 I've rounded up my top sale picks below. Some of the items I already own, like this cozy pullover, but most are in my cart. 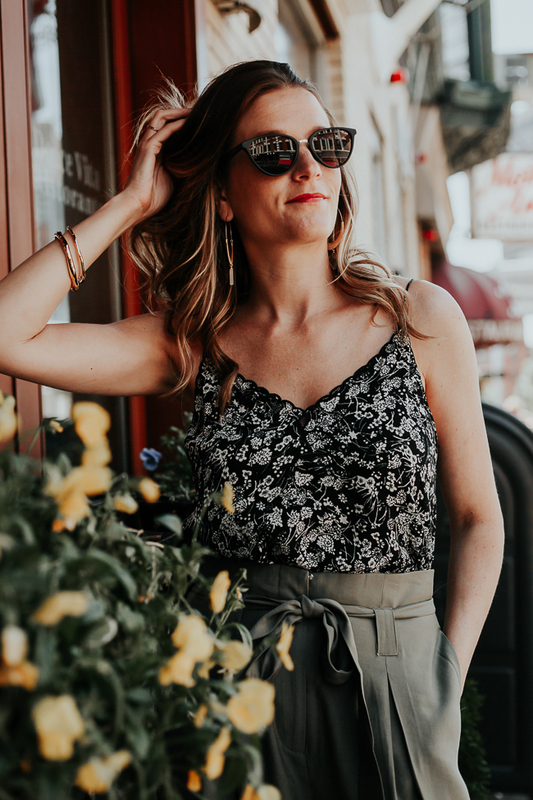 I will definitely be snagging this lace trim camisole, which makes the perfect laying item for under a cardigan or leather jacket, and this thermal will be my staple throw-on come fall. The feature blogger is Tatiana from My Fabulous Forties. How gorgeous is her plaid dress? It's perfect for transitioning into the fall, and I love how she added the belt! Make sure to stop by her blog and say hello. Abercrombie & Fitch is having a 40% off sale, which includes new merchandise! 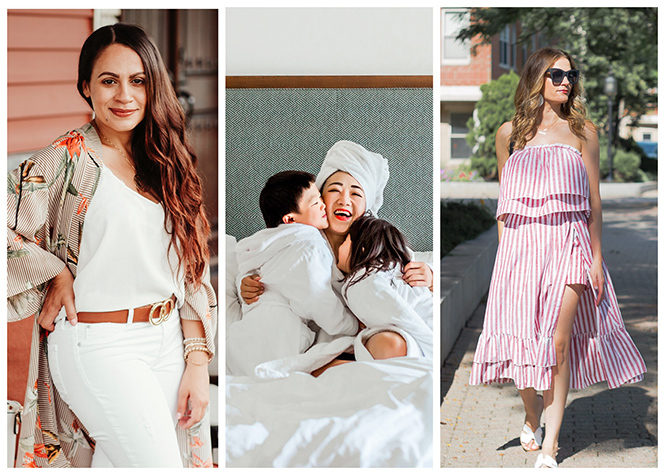 I've rounded up my top sale picks below. Some of the items I already own, like this cozy pullover, but most are in my cart. 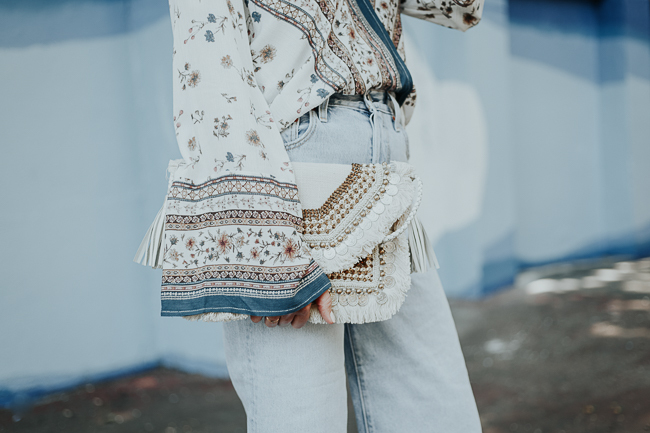 I will definitely be snagging this lace trim camisole, which makes the perfect laying item for under a cardigan or leather jacket, and this thermal will be my staple throw-on come fall. Well friends.....as I write this post, I am sitting in a hospital room. Many of you know that my son, Tyler, has been sick with a bacterial infection, which also lead us to discovering that he has Ulcerative Colitis. Just two weeks ago, he was in the hospital for 11 days, and since has been heeling at home. This past week, his symptoms started up again, and has landed him back at Children's. If everything goes well, we should be home by Sunday. Which I'm praying for because we have a vacation to the Cape planned next week, and this momma needs a vacation! You can bet that I'll be bringing this stripe two piece set with me to the Cape. Not only is it adorable, but it's also comfortable, and I love that it can be worn casually or dressed up for a date night. 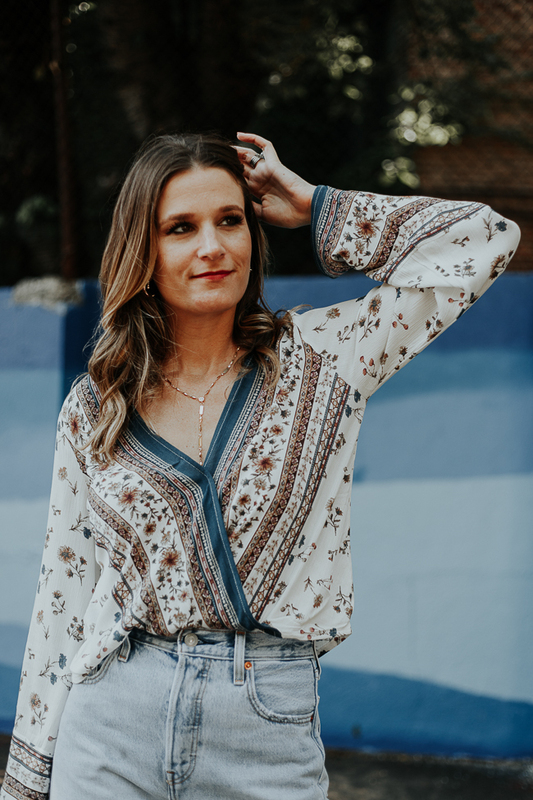 Plus, since the top and skirt are separates, you can pair them with other pieces, giving you more outfit options when on vacation and traveling! The best part is the skirt is actually a skort. Yes, there are shorts under the skirt, making it appropriate for chasing toddlers around. Becausee I'll be in the Cape next week (fingers crossed), I'll be taking a week off from blogging and won't have a post next Friday. But don't worry, you can still link up with Melissa and Sheree, and I'll be back the following week with a cute transitional fall look! The feature blogger is Leah of Leah Behr. Not only am I loving her casual look, but she's dishing all the information on microblading, and what you want to know! Make sure to stop by her blog and say hello. *This post contains sponsored content. All opinions are my own. First off, I just want to thank everyone for your kind comments and wishes about Tyler. I read every single one of your comments, on every post, and apologize for not being able to respond to them these past few weeks. They truly brighten my day! Although we're home from the hospital, Tyler is still fighting his colitis flare up, and between the doctor visits, and trying to learn everything that I can about Inflammatory Bowel Disease, I am still playing catch up with the blog. I'm praying that he'll be in remission soon, and we can all get back on a normal schedule. You can read more about what's going on with Tyler here. I do have a lot of content (both fashion and beauty wise) coming soon, but in the meantime I'm excited to share the rest of the photos from my LIT Boutique photo shoot. 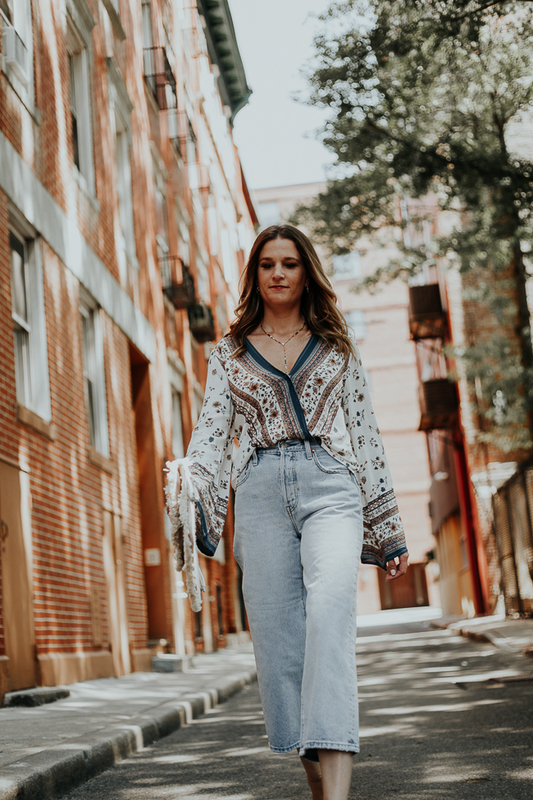 In last week's post, I shared all about my love for LIT Boutique, along with cutest outfit (which included the best pair of jeans). 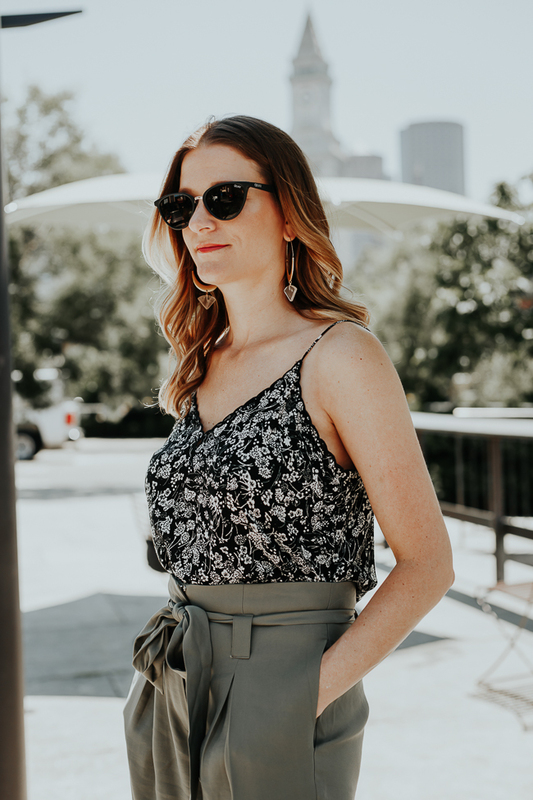 Today I'm sharing the perfect dress to wear as a wedding guest, and the cutest camisole, which I ended up going home with. 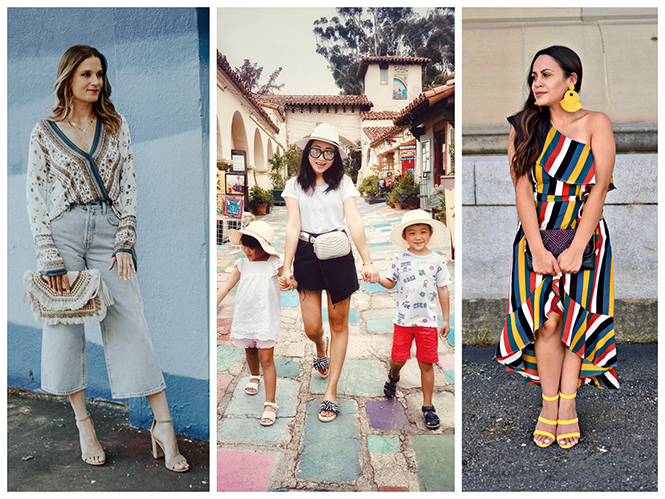 The feature blogger is Katie from Hello Katie Girl. I'm loving her colorful look, and obsessed with her flamingo tee! 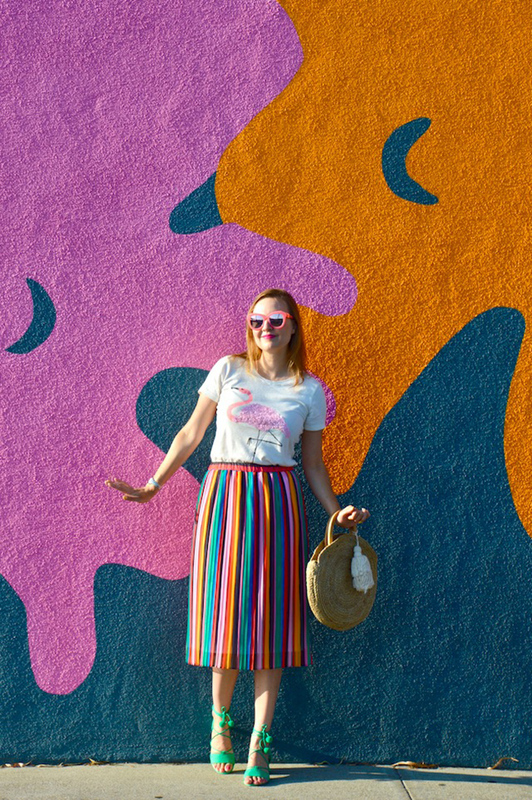 Make sure to stop by Katie's blog for her cheerful fashion and awesome pattern mixing, and to say hello. For the past four years, I have done most of my shopping online. Running two small business from home, while raising twin boys, has left very little time for in-store browsing. However, there are a few local boutiques that I make sure to visit each season, and one of them is LIT. From jeans to formal dress, the boutique is always stocked with my favorite brands, and I know I will never end my visit empty handed. Recently, LIT asked if I would model some of their current items, and of course I couldn't say no. 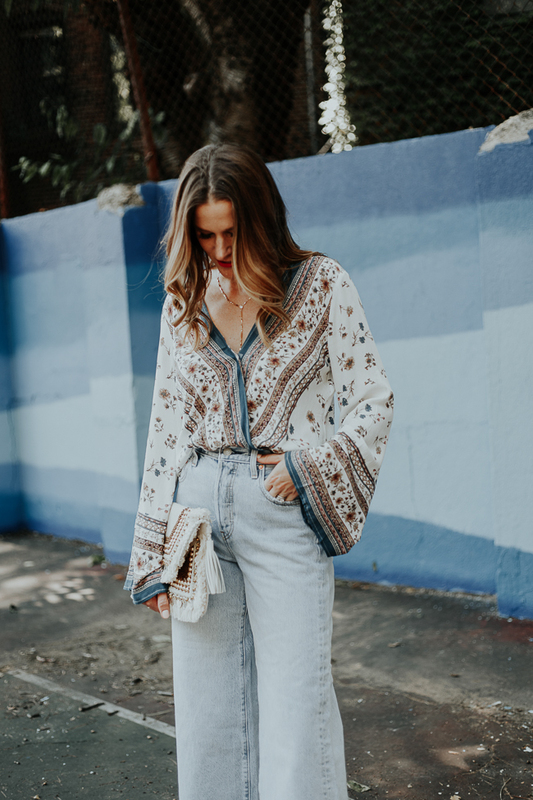 I immediately fell in love with this 70's inspired assemble that was chosen for me, and can't get enough of these Levi jeans. 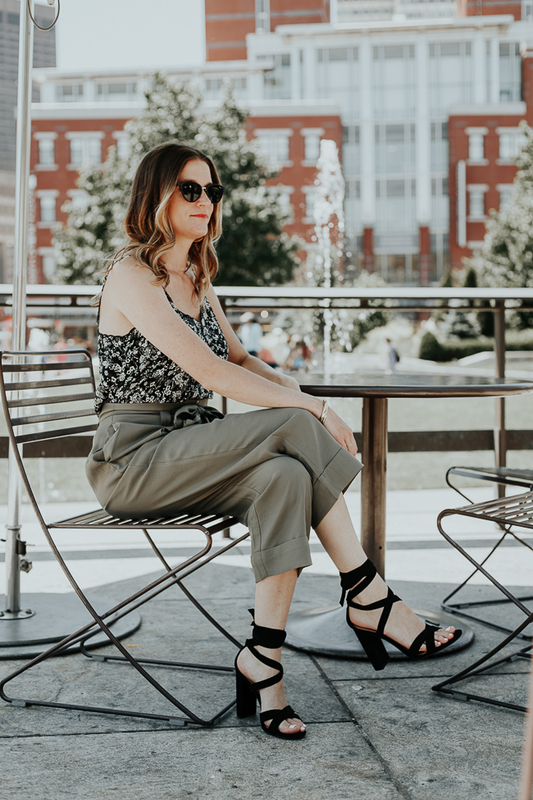 They're a high rise, which you all know I'm a big fan of, and the cropped wide leg is actually flattering (I was a little skeptical of the cut). Although they're super cute with sandals (flat or heeled), I think they'll look perfect with a chunky knit and boots come fall. 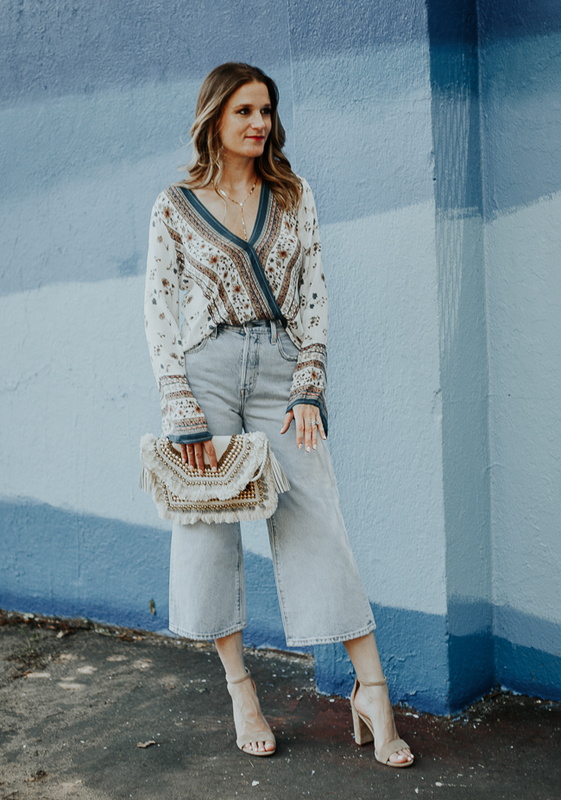 Tell me, are you a fan of wide leg cropped jeans? 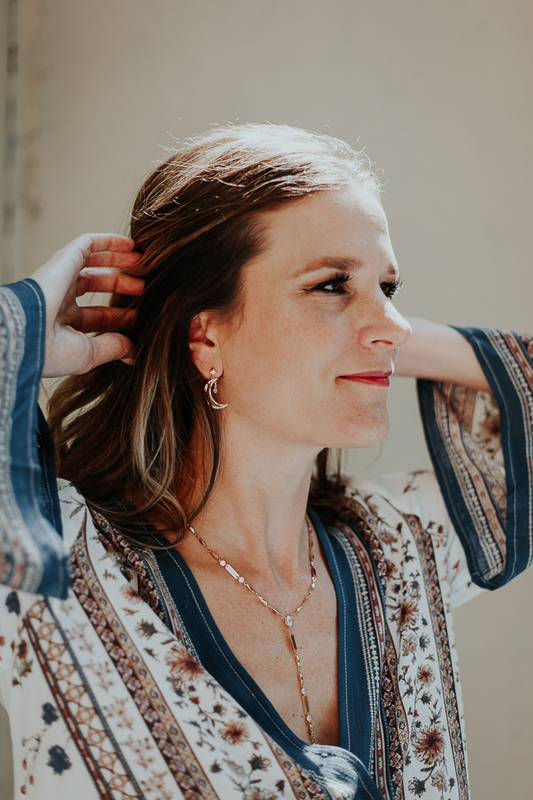 You can shop online here, and for my New England friends, LIT has locations on Newbury Street and Hanover Street in Boston, and on Congress Street in Portsmouth, NH. Make sure to check out my last collaboration with LIT Boutique here. The feature blogger is Nicole of What Nicole Wore. 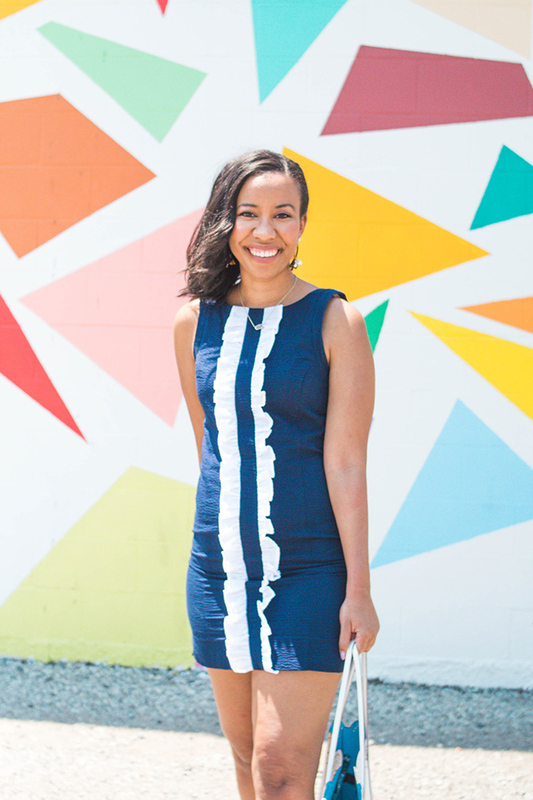 Not only is her dress adorable, but I'm loving her post on 15 Hilarious Things Bloggers Do. Make sure to stop by her blog to read the post, and say hello.